Powerful. Capable. Adventure-seeking. 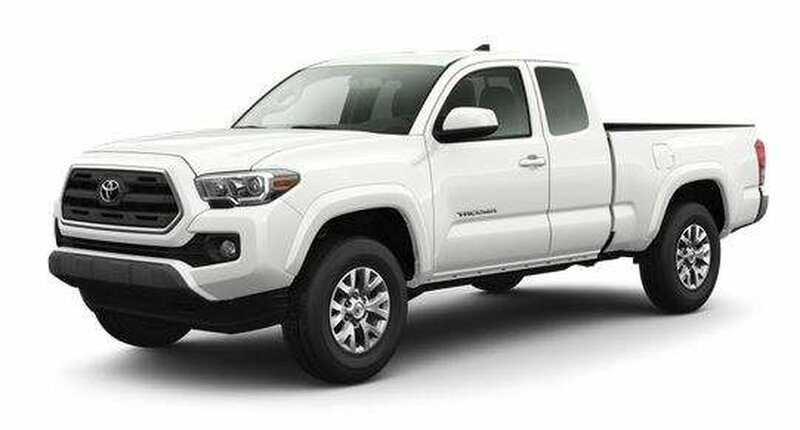 A legend, built upon more than 80 years of global truck heritage, the 2019 Toyota Tacoma is ready for the latest chapter. 2.7 Litre, 4-cylinder Engine and 6-speed Automatic Transmission, 6-speaker, 6.1 inch Deluxe Touchscreen Audio, AM/FM CD with MP3/WMA Player, Audio Auxiliary Input Jack, Dual USB Audio Input, Bluetooth Capability, Integrated XM Satellite Radio, 6 Speakers, 6.1 inch monitor, Advanced Voice Recognition Backup Camera, Heated Front Sport Seats, 16 inch SR5 Aluminum Alloy Wheels, 6-Foot Cargo Bed with Tie-Down Cleats, Rear Step Bumper, and Reinforced Easy Lower & Lift Locking Tailgate, Toyota Safety SenseMC P,which includes a pre-collision system with Pedestrian Detection, lane departure alert, automatic high beams and dynamic radar cruise control and more!